Ask how entrées are prepared, and avoid fried foods or dishes served in heavy sauces or gravies. Choose skinless chicken, fish, or lean meat that's broiled, poached, baked, or grilled. 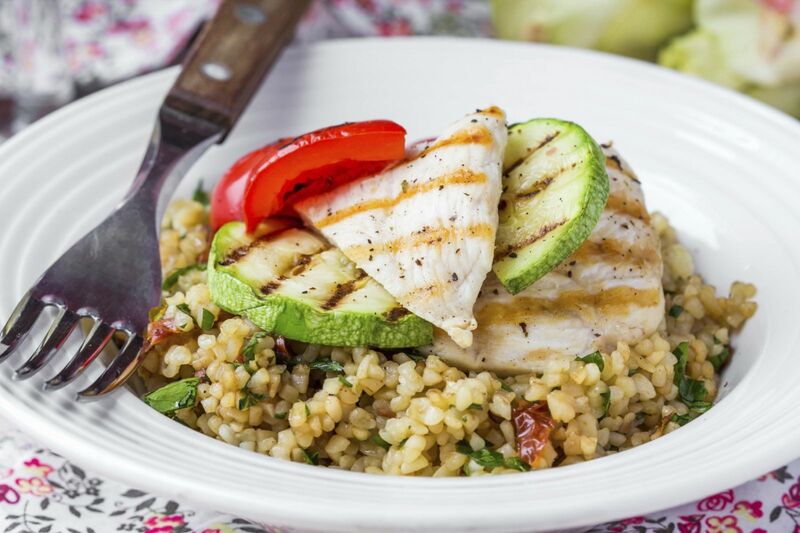 Get the server's advice to help you select healthy, low-fat dishes. Restaurants are used to dealing with special diets. Don't feel obliged to clean your plate. Eat a reasonable portion, and take the remainder home. Choose steamed vegetables and salads to accompany your meals. Request low-calorie dressings and toppings, and if they're not available, ask for all dressings, butter, and sauces to be served on the side so you can use them sparingly. If you take insulin and you know your meal will be delayed, time your injection appropriately. You may need to eat a roll or piece of fruit to tide you over. If you're craving dessert, have some — but split it with someone else. For more information on the essentials for a healthy diet and managing type 2 diabetes, buy Healthy Eating for Type 2 Diabetes, a Special Health Report from Harvard Medical School.